You could say that Fatso the cow saved the family dairy farm at Circle T Dairy, our second stop on our farm tour. Located in Cache Valley in Trenton, Utah, minutes from Logan, three generations — patriarch Glade Griffin, his son Tom, son-in-law Darrell Eagn and grandson Trevor Eagn — are involved in the family business. So how did Fatso save the farm? Well, here’s the story. Back when Glade, who is now 77, was a young man, his dad suffered a heart attack and had to sell his cows. With a desire to keep the dairy going, Glade kept one cow, Fatso, took a job in Logan making cabinets and continued to build the herd. So ok, maybe it wasn’t Fatso who saved the farm, but Glade. At least that’s how his family sees it. No matter who the hero of Circle T Dairy is, the operation is poised for the next generation, should either Tom or Trevor’s kids decide to follow in their father and grandfather’s footsteps. If you ask five-year old Bo, who comes to work with his dad Trevor when he’s not in school, he’s going to be a dairy farmer when he gets older. Glade’s not surprised, though as he says it’s in their blood. Initially, when Tom brought the idea of automated milking to his family, they were skeptical. In fact, Glade, Darrell and Trevor all thought he was crazy. They said it wouldn’t work. Tom had the vision, however, and convinced Trevor to go with him on a trip to Canada to see a barn with milking robots in action. Once Trevor saw them and asked a few questions, he became a believer. 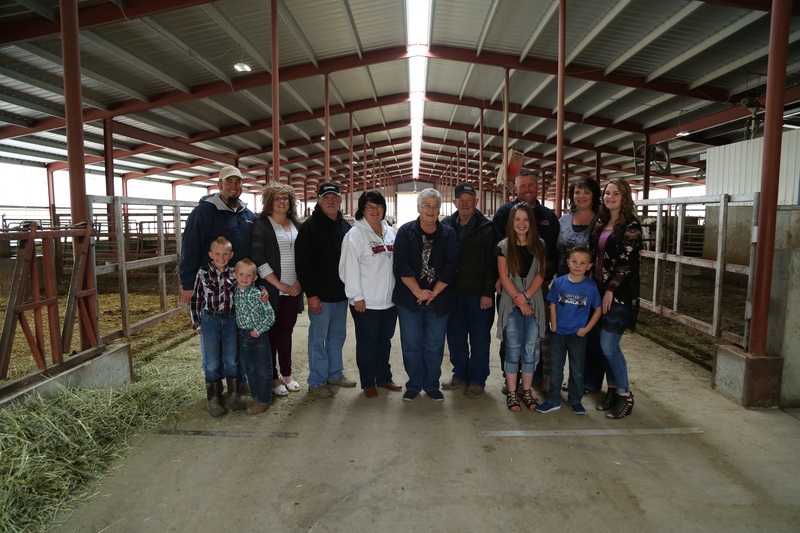 The family appreciates all the benefits of automation – more milk, a quieter, more comfortable herd and better reproduction, just to name a few – but find the real value to be in the extra time they are able to spend with their families. Now, they have time to go to games and school functions and they can spend time as a family and go on vacation.